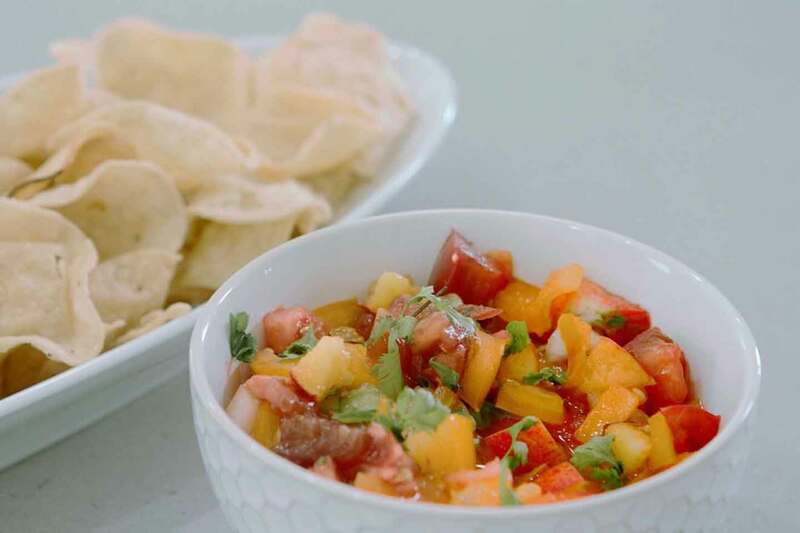 Adding fresh peaches to this salsa recipe will be a game changer for your summer cookouts and dinner routine. 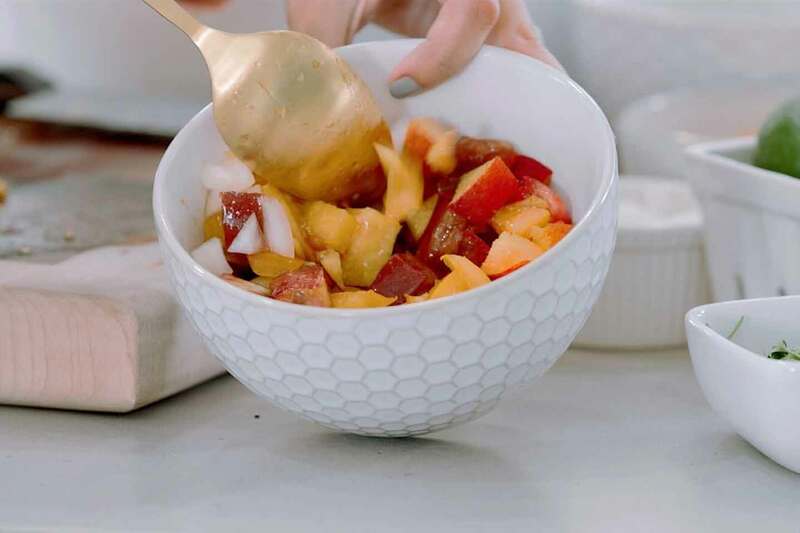 The hunt for the perfect summer peach will be well worth it if you ask Luisa Hammett, a registered dietician and the lifestyle blogger behind Peaches to Pearls, who shares her Summer Peach Salsa recipe. “What makes this recipe unique is the added sweetness and crispness of the peaches,” says Hammett, who recommends serving it as a standalone dip or with grilled chicken or fish tacos to add some extra flavor. And even sweeter news for busy summer schedules: Don’t worry about peeling the peaches; the skin brings added fiber to the recipe. Hammett says the salsa can also be a hit your little ones who will be “more likely to eat the recipe’s veggies with peaches mixed in” and will have fun in the process as they “eat the rainbow” with hues of red, orange and yellow. 1. Wash and dice the peaches, leaving the skin on. Transfer your peaches to the bowl. 2. 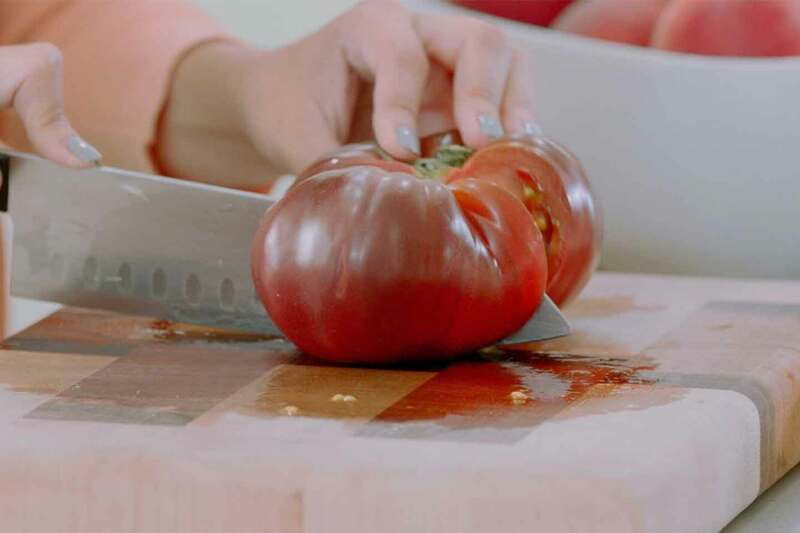 Wash and dice the tomatoes and onions. Chop to your preference (chunky or thin). 3. Sprinkle with chopped cilantro. 4. 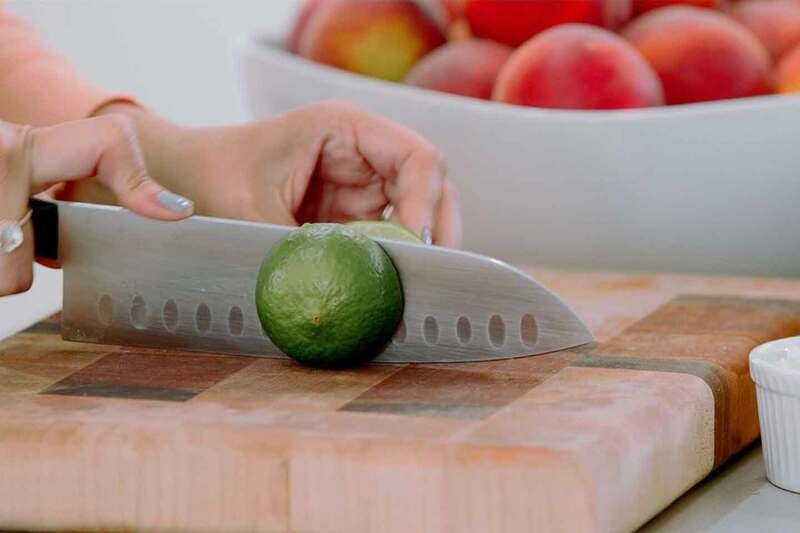 Squeeze your lime on top and sprinkle with salt. If there’s one thing the popsicle craze sweeping the nation has taught us, it’s that we can all master the art of making (and enjoying) popsicles with the right ingredients. Luisa Hammett, a registered dietician and the lifestyle blogger behind Peaches to Pearls, offers a “better option for a summertime treat” with her Summer Peach Popsicle recipe. You can feel good about the fact that it’s packed with vitamin C, fiber and protein, thanks to the peaches and creamy Greek yogurt base. Summer may be halfway over, and many schools are back in session soon, but good news – you can taste summer for a little while longer with the Chick-fil-A Peach Milkshake. Handspun with our signature vanilla Icedream® and filled with fresh, peak-of-the-season peaches, the Peach Milkshake is a seasonal treat many customers wait for all year-long.